Author David Quammen’s new book details the work of microbiologist Carl R. Woese, whose study of evolution led to the discovery of a third domain of life. Quammen will speak about his book on Sept. 27 at the University of Illinois. 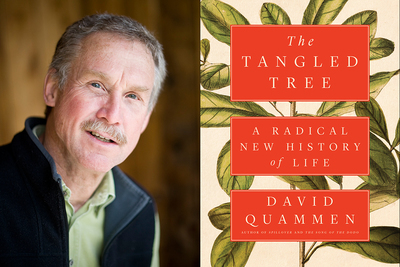 CHAMPAIGN, Ill. — Science writer David Quammen will be at the University of Illinois to speak about his most recent book that features prominently the revolutionary work of microbiologist Carl R. Woese, who used genetic analysis to study evolution and discovered a third domain of life. Woese was a U. of I. professor of microbiology for more than 50 years and a founding member of the Institute for Genomic Biology that now bears his name, and he was elected as a Center for Advanced Study professor. He won the Crafoord Prize in Biosciences, considered the equivalent of the Nobel Prize, for his discovery. Quammen – the award-winning author of 13 books, primarily about science and nature, and a contributing writer for National Geographic – wrote about Woese in his new book “The Tangled Tree: A Radical New History of Life.” The book is on the nonfiction longlist for the 2018 National Book Award. Quammen will speak at 4 p.m. Sept. 27 in the Knight Auditorium at Spurlock Museum, 600 S. Gregory St., Urbana. A reception and book signing will follow. Quammen’s lecture is part of the Center for Advanced Study’s 60th anniversary lecture series, CAS@60. “Woese was one of the most influential scientists of the 20th century,” said Gene E. Robinson, the director of the Carl R. Woese Institute for Genomic Biology at Illinois. 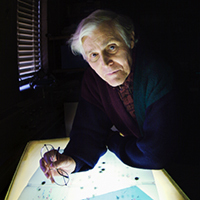 University of Illinois microbiology professor Carl R. Woese pioneered a molecular approach to the study of evolution. The book details how Woese looked for evolutionary relationships among microbes through genetic analysis rather than classifying them based on their physical traits. He sequenced the genes that give rise to the ribosome, a structure found in all cells that manufactures proteins. In doing so, he discovered a third superkingdom of life – microbes that are called archaea and were previously classified as bacteria. 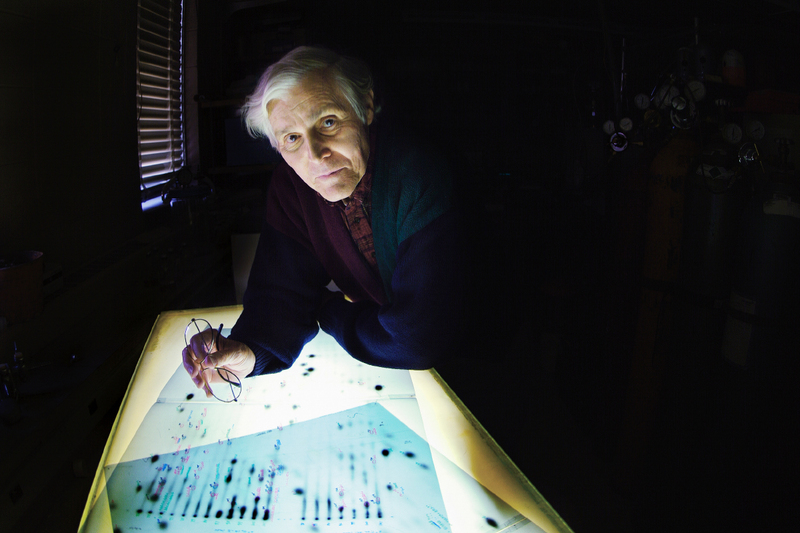 Woese’s genetic analysis showed the archaea are distinct from bacteria and from plants, animals and other organisms. In addition to identifying a third domain of life, Woese’s work eventually led to the realization that genes may be passed between species, not just from one generation to the next, Robinson said. All of these topics are covered in Quammen’s book. Quammen spent a lot of time at the IGB and the University Archives, interviewing Woese’s associates and collaborators and reviewing his papers, and he developed close relationships with several faculty members in the course of his research, Robinson said. After he sent a pre-publication copy of the book, IGB leaders knew that it would be important to bring Quammen to campus to tell the story of Woese’s contributions, he said. Robinson and the staff at the IGB asked the Center for Advanced Study to take the lead in sponsoring the lecture because of the center’s campuswide reach and established lecture programs, and because Woese was a longtime faculty member with the Center for Advanced Study. Other sponsors are the College of Engineering, the College of Liberal Arts and Sciences, the microbiology department, the School of Molecular and Cellular Biology, Spurlock Museum and the University Archives. Editor’s notes: More information about David Quammen’s lecture is online. To reach Gene Robinson, email generobi@illinois.edu.